The National Puerto Rican Day Parade is not just an event . It is a rich document, revealing vast quantities of information about America. 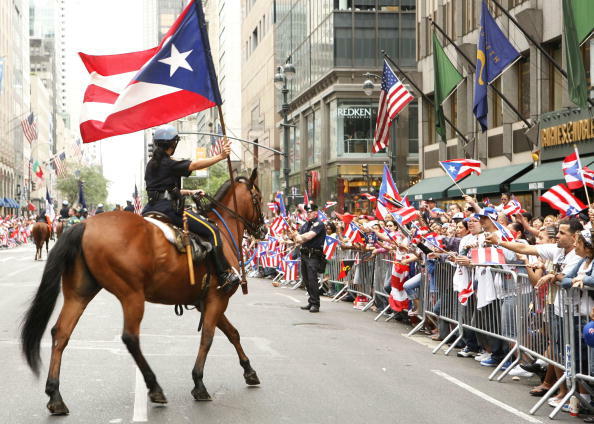 A Ph.D. dissertation could be written on the Puerto Rican Day Parade. It is a US census . When two million spectators show up (more than half the population of Puerto Rico), then we know there’s a lot of Puerto Ricans in New York, and a lot of Latinos in this country. The numbers keep growing every year. We’re not going anywhere. Ann Coulter, smoke on your pipe and put that in. It is a political campaign. Mayors, senators, congressmen, and countless state and city politicians, all wave the flag that was once illegal, and shout the words ¡Que viva Puerto Rico! Not too long ago, that would have landed all of them in prison. It is a pecking order . The more prominent the Puerto Rican, the earlier they get to march. One year, when I was running for the New York State Assembly, we overcame this problem by driving my bus backward along the parade route from 86th street to 49th street, fifteen minutes before the parade started. No one ever caught on, and I won my first election that year…so it must have worked. In that spirit, here are some reflections of the 2015 Puerto Rican Day Parade. To my great alarm, I realized why they had picked Rita as the 2015 Grand Marshall: to remind us all that, after 117 years of US colonialism, Puerto Rico is still a mess…even worse than it was in 1961. This one got the FBI reports released – 1.8 million pages of them – that allowed me to write War Against All Puerto Ricans. This one looks good in the Puerto Rican Day Parade…because he is half Puerto Rican! Somehow, throughout a 50-year political career, he never got around to admitting it. Fortunately some of the politics in the parade, was not about getting or staying elected. Some of it really mattered. A dedicated group of marchers demanded the release of political prisoner Oscar López Rivera, after 34 years in jail…for demanding the independence of Puerto Rico. Another group, marching behind the Camaradas banner, reminded everyone of the shared history between Oscar López Rivera, Pedro Albizu Campos, Julia de Burgos, and other great Puerto Rican leaders. There was joy in our parade. Then of course, everywhere you looked, was the love of our flag. The thing that unites us all. Even some of New York’s finest caught the fever. But had she done this in Puerto Rico, in the wrong time and place…this cop would have been arrested, and served ten years in jail. There were many beautiful men, women and children…of all ages, shapes and sizes. But the most beautiful thing was our flag. And then set with it. *A special thanks goes out to Jose Oquendo, who shot eleven of the photographs in this essay . I’m very excited to read this book. What a beautiful thing. I am now educating myself through your books and I appreciate you very much. In school all I learned was about when Christopher Columbus discovered Puerto Rico. And the obvious is that there is much ,much than that in my Puerto Rico History. This brought tears to my eyes. This is what the parade truly represented. Not what the Daily News tried to make it out to be. First of all, I want to congratulate you for writing such an important document. I could not have come at a better time in the history of our (PR) nation. In 1965 I organized the first group of Puerto Rican university students in the USA at CCNY. Among the 32 members of that group where: Iris Morales (Young Lords Party); Elizam Escobar (Now teaching at UPR Bellas Artes, former political prisoner); Bittman Rivas ( Bimbo) , poet, play writer, visionary and social activist who invented the term Loisaida. My memory fails to remember the rest of the group. Before organizing at the college level I organized one of the first Aspira Chapters in NYC in Bushwick HS at age 15. My father Jose Luis Venegas Navas was founder and president of the Partido Nacionalista Puertorriqueño in Vega Baja, the town where I was born. 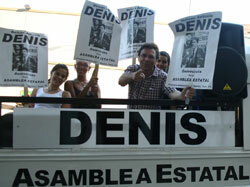 He was also the secretary of El Partido Independentista de Puerto Rico. My father was assigned the same FBI agent as Albizu, Mr. Osborne. From April 2006 to August 2013 I spent 7 years in Puerto Rico studying and analyzing the transformation and crumbling of Puerto Rican society. I decide to come back to NYC to fight Wall Street in what I called The Battle of Vieques II. I have been a quiet behind the scenes social activist in the Puerto Rican Community all my life. At age 70 I am still fighting and will die with my boots on. Please contact me. I have some very valuable information that I feel must be brought to your attention. My telephone (recently stolen…) is 212-470-6246, My email; latinny2@gmail.com. Que viva Puerto Rico!!! Mess and all …. Coulter: take this and more! !